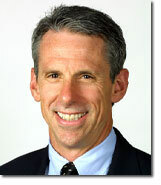 Dr. Messier is Professor and Director of the J.B Snow Biomechanics Laboratory at Wake Forest University. He has been at Wake Forest for 37 years and has 28 years of experience in clinical trials research specifically related to knee osteoarthritis. He has published 99 original manuscripts including 20 over the past 5 years. He and his OA research team are well known for their work on the effects of exercise and weight loss on gait, strength, function, and pain in knee OA. He was the co-principal investigator of the Fitness Arthritis in Seniors Trial (FAST), the principal investigator of the Arthritis Diet and Activity Promotion Trial (ADAPT), and the Intensive Diet and Exercise for Arthritis (IDEA) study. Each of these studies was funded with grants from the National Institutes of Health. His work on the ADAPT trial was voted one of the top ten advances in arthritis research for the year 2004 by the Arthritis Foundation; the results from the IDEA trial provide convincing evidence that a 10% weight loss combined with moderate exercise results in a 50% reduction in pain in older adults with chronic knee OA. Currently Dr. Messier is the principal investigator of 2 NIH funded clinical trials: the Strength Training for Arthritis Trial (START) in which his research team is recruiting 377 older adults with knee osteoarthritis for an 18-month intensive strength training intervention study; and the multi-center Weight loss and Exercise for Communities with Arthritis in North Carolina (WE-CAN) trial in which his team will recruit 820 overweight and obese older adults with knee osteoarthritis in three North Carolina communities to determine if the groundbreaking results achieved in the IDEA trial can be translated to real-world community settings. This phase 3 pragmatic trial is a collaboration with investigators from the University of North Carolina, Brigham and Women’s Hospital- Harvard Medical School, East Carolina University, and the University of Sydney, with a data coordinating center at Wake Forest Health Sciences. Dr. Messier is also the director of the Wake Forest Runners’ Clinic that uses the skills of physical therapists, orthopaedic surgeons, and biomechanists to determine the causes of overuse injuries in runners. Currently, he is the principal investigator of The Runners And Injury Longitudinal Study (TRAILS): Injury Recovery, and the Strength Training And Runners’ Study (STARS), both which are funded by the United States Army. Dr. Messier was on the Board of Directors for the Osteoarthritis Research Society International (OARSI) from 2014-2018, the leading scientific organization devoted exclusively to osteoarthritis. He is currently the chair of the OARSI Fiscal Committee. He has also received the Career Achievement Award from the Biomechanics Interest Group of the American College of Sports Medicine. He is on the Editorial Board of numerous scientific journals. Great Debate. Osteoarthritis Research Society International Annual Meeting, Las Vegas, NV April 2017.